Dedicating one meal a day to the planet and your health. One Meal a Day: Movement, Community and Campaign. OMD is a movement, community and campaign whose goal is to support people just like you to change their relationship with food by swapping at least one meal a day with something plant-based. 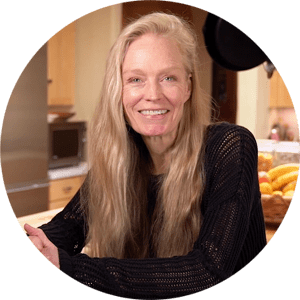 Spurred from her experience introducing kids to eat more climate-friendly food at MUSE School, our Founder, Suzy Amis Cameron, has since made it her life mission to shine a light on the food industry and celebrate a new way of relating to food and eating — for our health and the planet. Eating plant-based is a win-win-win: for the planet, the animals and for our health. And when we join together, we can honor the abundance that eating more plants gives our world. Movement is a big word — and that’s because we believe in big, exciting change. For OMD, that opportunity for change is at the intersection of food, health and the environment. We know that what’s on our plates impacts our health and impacts the planet. Dramatically. From heart disease to climate change, there’s no shortage of research and science that shows us how devastating meat and dairy is for our bodies and the Earth. We want to turn that around. The OMD movement is about resourcing individuals — with tools, encouragement and real talk — to migrate to climate-friendly, plant-based diets. 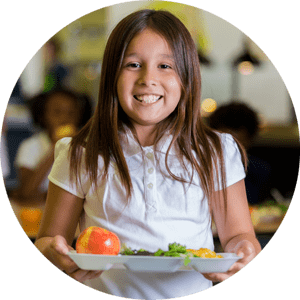 The OMD movement is also about system change — about expanding access and making a great case for schools, businesses, restaurants and communities to move towards more plant-based options. One meal at a time. One restaurant at a time. One school at a time. Saving forests, coral reefs, endangered species, and the air we breath. Your health is worth it. And our majestic, wild planet home is worth it. Join us. OMD is here to support you, whether it’s learning new recipes, or having conversations with your local businesses or school about food. The OMD Movement is you. 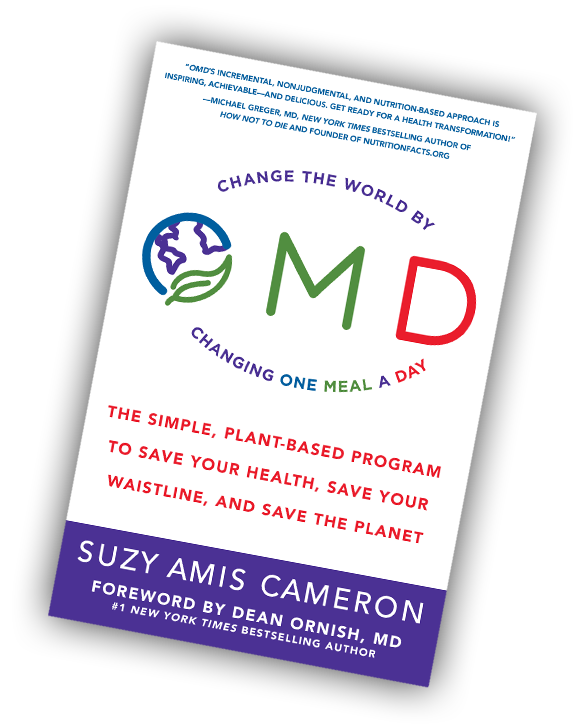 OMD: The Simple, Plant-Based Program to Save Your Health, Save Your Waistline, and Save the Planet. OMD makes it possible for anyone and everyone to reverse climate change while they embrace a healthier lifestyle by swapping one meat- and dairy-based meal for a plant-based meal every day. Featuring 50 delicious recipes and complete with inspiring success stories, shopping lists, meal plans and pantry tips, OMD is an all-in-one resource for anyone who wants to take care of their body and our beautiful plant at the same time. With a foreword by Dr. Dean Ornish. Learn more about the book or order your copy today. 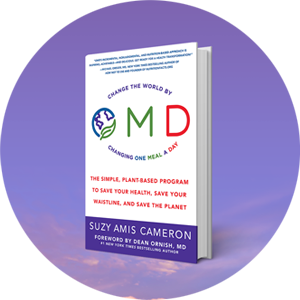 Suzy’s inspiration for OMD was sparked by kids, the planet and her family’s health. She sees OMD as a life-affirming movement of how to relate to your body and the environment in a whole new way — by what’s on your plate. As a mom of five kids, Suzy’s family is joyfully plant-based. 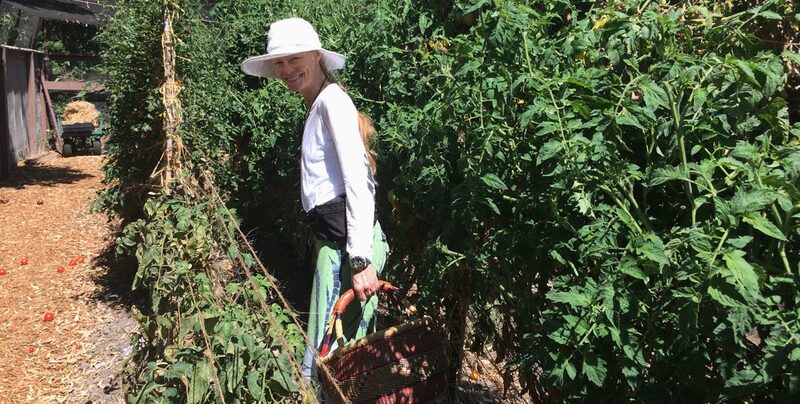 Raised in the heart of Oklahoma, Suzy understands how getting people to leave meat and dairy off the menu can be tough, but after seeing some of her brothers and sisters make the switch and enjoy better health, it fueled her personal mission to bring plant-packed living to the masses — starting with One Meal a Day. So what are you waiting for? We hope you join us! Learn more. And be part of the movement.